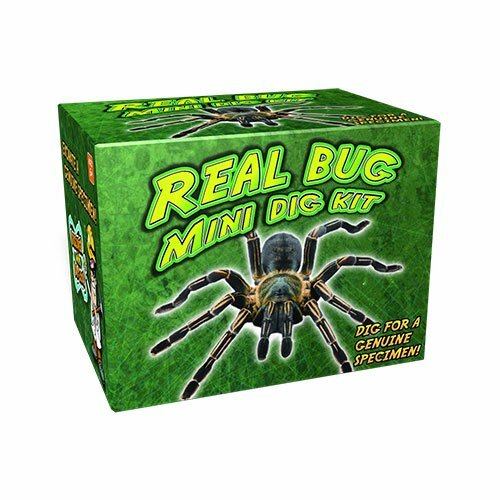 From the Manufacturer Bug Mini Dig Kit - Excavate A Real Bug Specimen! This fun hands-on digging kitcontains 1 genuine bug specimen buried inside a bug-themed digging brick! Thekit includes an excavation brick, digging tool, brush and information guide sothat you can identify your genuine specimen and learn all about it! You willdiscover one of the following specimens: Scorpion, Spiny Spider, or FortuneBeetle. These specimens are all perfectly preserved inside clear acrylic sothat you can examine them from all angles.